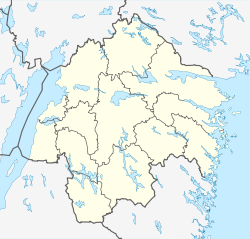 Krokek is a locality situated in Norrköping Municipality, Östergötland County, Sweden with 4,285 inhabitants in 2010. This article about a location in Östergötland County, Sweden is a stub. You can help Wikipedia by expanding it. This page was last edited on 13 December 2017, at 01:00 (UTC).